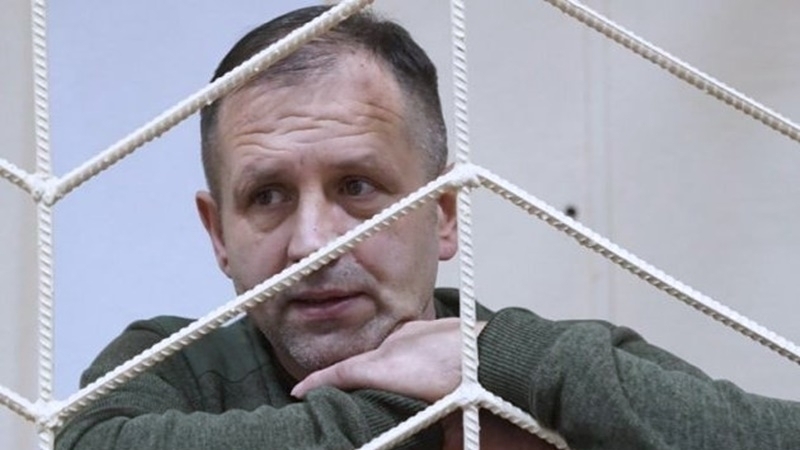 On March 19, the occupiers will choose a measure of restraint to Volodymyr Balukh in the context of a case pending against him for "disorganizing the activities of institutions that provide isolation from society"
Ukrainian political prisoner in the occupied Crimea Volodymyr Balukh began an indefinite hunger strike, according to the report on the website of the Crimean Human Rights Group. “Thus, the Ukrainian expresses protest against the illegal sentence on the criminal case fabricated against him. Volodymyr Balukh is protesting against the verdict of January 16, 2018. At the moment, the verdict has entered into force," reads the report. On March 19, Balukh is to be transferred to a solitary confinement in which the invaders would keep him during the hunger strike. Reportedly, today in the Kremlin-controlled Razdolnensky district court at 3:00 pm a meeting on the election of a preventive measure against Balukh will be held in the framework of another case pending against him. Previously, Razdolnensky district court in the occupied Crimea sentenced Volodymyr Balukh to 3 years and 7 months of imprisonment for his civic position. Volodymyr Balukh will serve his sentence in the colony-settlement. The Ukrainian activist was taken into custody in the courthouse. Volodymyr Balukh is a Crimean farmer, who hung out a Ukrainian flag on his house in 2014, which was repeatedly ripped off by Crimean security officials. In November 2016 Volodymyr attached to his house a sign with the inscription "18, Heroes of Heavenly Hundred Street”. According to him, he then started receiving threats from local “administration” saying that if he did not remove it, then some drugs or weapons could be found in his house, which, in fact, happened.